Calling all Outback Steakhouse Fans... Get excited about this FREEBIE! 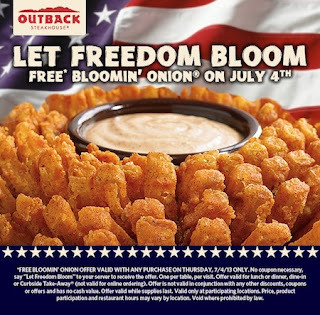 Stop by your local Outback to celebrate the 4th of July with a FREE Bloomin Onion. Its super easy to pick this one up. Just mention the phrase "Let Freedom Ring" to score.